The Lakeland University Muskies Women’s Soccer ID Camp is a 2-day training program from August 7 to August 8. It will take place at the Lakeland University, Plymouth campus. It is inviting all high school female soccer players who are looking to train and play at the collegiate level. This soccer ID camp will accommodate both overnight and non-resident campers. Its goal is to provide motivation and inspiration to players to achieve their full potential. In addition, the event will also provide a valuable experience on how it is like to be a student-athlete for a competitive college team. It is also a venue for outstanding players to gain recognition from scouting college coaches. In essence, the program will introduce the players to the physical and mental demands of being in a college soccer program in an enjoyable manner. Lakeland University, formerly Lakeland College, is private, coeducational, liberal arts college in Plymouth, Wisconsin. It has campuses in Milwaukee, Madison, Wisconsin Rapids, Chippewa Valley, Fox Cities, Green Bay, Sheboygan, and in Tokyo, Japan. The university is an affiliation of the United Church of Christ. Furthermore, Lakeland University has an accreditation from the Higher Learning Commission of the North Central Association of Colleges and Schools. It is currently home to around 4,000 undergraduate and postgraduate students. In the sporting world, Lakeland University features 18 intercollegiate sports teams. These sports teams are competing in the Northern Athletics Collegiate Conference, a Division III member of the National Collegiate Athletic Association. Their nickname is Muskies and their colors are blue and gold. Robert Blake is the new Head Coach of the Lakeland University women’s soccer team. He is the former Black Hills State University women’s soccer Head Coach. He is also the former President of Coaching of the Spearfish Soccer Association. Then, the Muskies women’s soccer Assistant Coach is Spencer Sandow. Coach Sandow is a former soccer player standout. In fact, he is a former 3-time all-conference selection member. 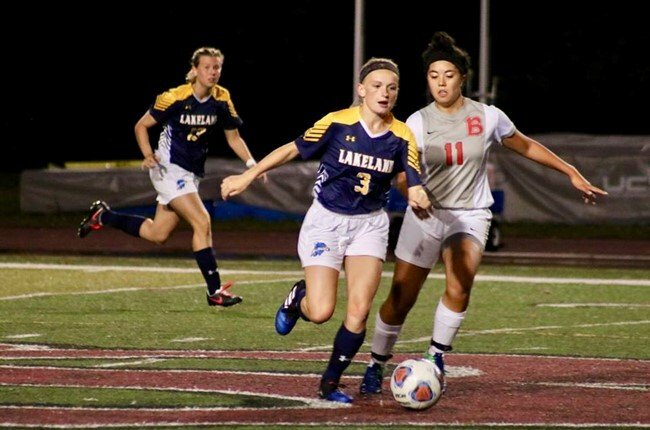 The Lakeland University Muskies Women's Soccer ID Camp is a 2-day training program from August 7 to August 8 at the Lakeland University Plymouth campus.